On 21 April 2007, 66223 arrives at Hinksey Yard, near Oxford with the 4L44 17:09 Cowley to Purfleet car train, conveying Minis from the BMW plant. This train uses the yard to run round, there being no direct connection for southbound trains from the Cowley branch. 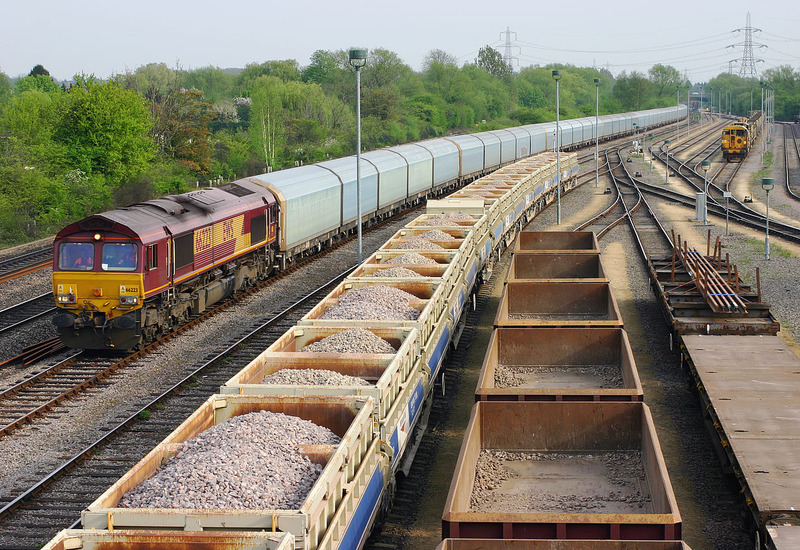 Note the rakes of ballast wagons in the foreground. Hinksey is now a dedicated ballast loading point, much to the annoyance of local residents who are suddenly surprised that it can be noisy living near a railway!